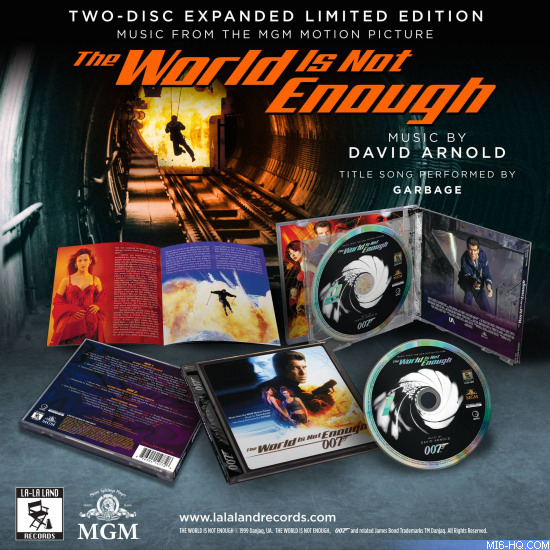 La-La Land Records, Universal Music Special Markets, EON Productions and Metro Goldwyn Mayer proudly present the remastered and expanded 2-CD re-issue release of the original motion picture score to the 1999 feature film 'The World Is Not Enough'. 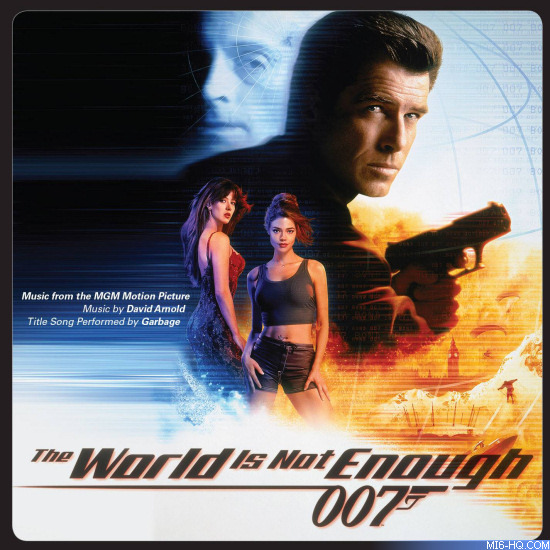 Renowned composer David Arnold fashions a tremendous musical work -- his second in the James Bond canon. It’s an epic score that keeps breathless pace with James Bond himself, musically matching all of the film’s globe-spanning adventure, drama, romance and suspense with sophistication and excitement. As he began with 'Tomorrow Never Dies', Arnold continues to push the contemporary edge of the score, whilst honoring the series’ classic musical legacy. This limited edition 2-CD set retails at $29.98 and is exclusively available at www.lalalandrecords.com and other online soundtrack boutiques from November 27th, 2017 at noon PST.